The braces that your orthodontist, Dr. Sellke & Reily, installed into your mouth are designed to realign your teeth to improve the overall function of your mouth and give you a winning smile. This is done by applying a light amount of tension to the braces, which stretches the periodontal ligaments that anchor your teeth in your mouth. If any part of your braces is damaged, bent or pulled loose, it could potentially increase the amount of time it takes to fully realign your teeth. To help prevent this, Dr. Sellke & Reily offers some simple suggestions to prevent damage to your braces. One of the most common causes of damage comes from chewing gum or eating sticky foods. The suction these actions create can potentially loosen a bracket, band, or spacer. Crunching hard foods also has the potential to damage your braces. This has the potential to bend wires, break bands or even knock a bracket loose from the face of a tooth. This also extends to other activities like crunching down on ice or nibbling on pencils and pens. If you frequently participate in rigorous athletics, Dr. Sellke & Reily strongly recommends using a high-quality mouthguard. Any blow to the face carries the potential to cause oral injury or damage to your braces. 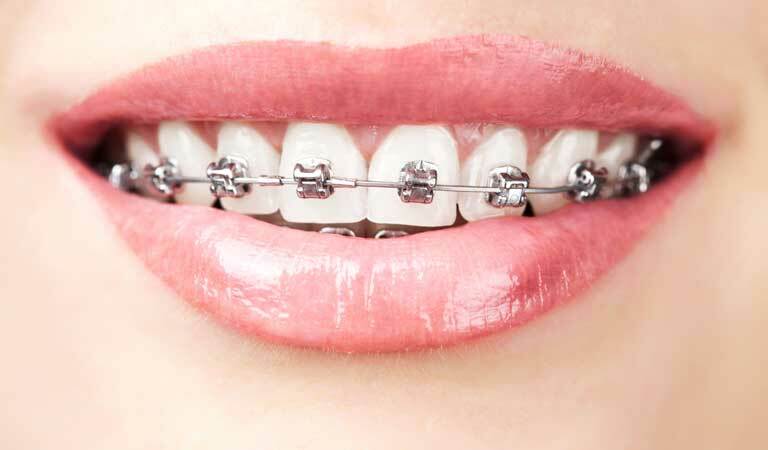 If you have questions about how to maintain or protect your braces in Grayslake, Antioch and Gurnee, Illinois, you can always call 847-223-2876 to seek advice from a member of our Drs. Sellke & Reily team.